By managing growth that is compact, coordinated, and connected, transit-oriented development (TOD) prioritizes people over cars. Photo by Fred Inklaar. Poorly planned urban expansion is increasingly distancing people from jobs, services and the opportunities that enable them to live a high quality life in cities. There are currently 170 million Brazilians in urban areas living with the consequences of decades of car-driven development. To reverse this trend and ensure a more sustainable future for all, integrating land use policy and transport planning is essential. Brazil is the fifth largest country in the world in terms of population and land area, but its pattern of urbanization has been sprawled, uncoordinated, and disconnected. The present situation not only demands motorized trips, but also causes congestion and harmful environmental impacts, and burdens citizens, especially those with lower incomes who spend significant time using transport. Fortunately, we know how to bring cities onto a more sustainable path with transit-oriented development (TOD). This model of urban planning focuses on dense, compact, mixed-use neighborhoods with vibrant streets and safe public spaces for social interaction. 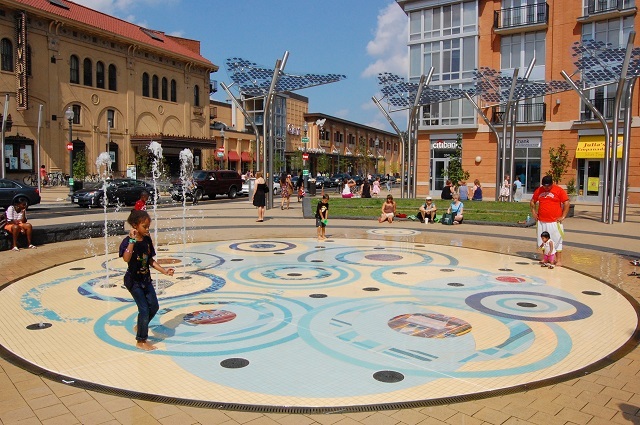 TOD is the key to more efficient, sustainable, and equitable communities because it prioritizes the “3Cs”: compact, coordinated and connected. By following a TOD approach, decision makers and urban planners can strengthen their communities. Public transit is strongly linked to urban development. High quality, convenient transport depends on dense and connected neighborhoods. The goal of a transport system is to connect a high number of riders with the city in a comfortable, efficient, and affordable way. 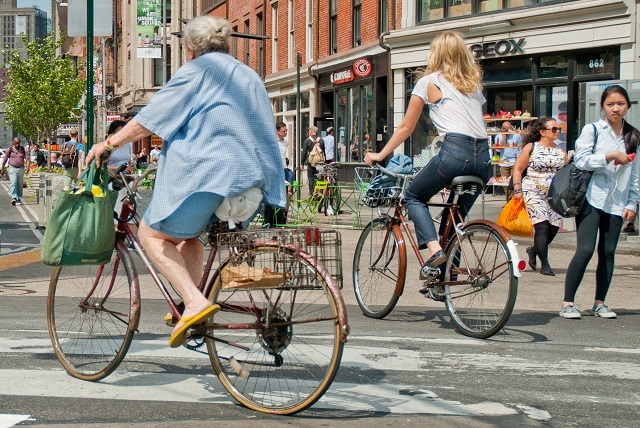 The interests of pedestrians and cyclists should be at the heart of urban planning. Decision making should shift residents—particularly car users—to active transport. Many commuters already take two non-motorized trips on a daily basis by walking to and from transit hubs to their homes or cars. It is important to build on this and encourage non-motorized transport holistically. Car use and parking policies play an important role in creating a safe, human-oriented urban environment. 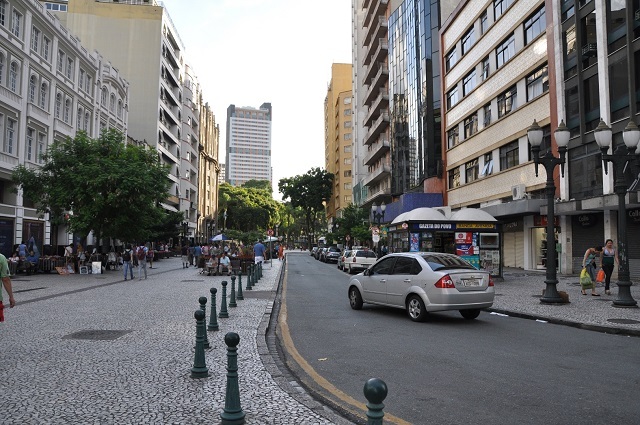 Since the 1980s, cars have dominated Brazilian cities. Despite individual car trips accounting for 27.4 percent of all urban trips (or 36 percent in cities with over one million residents), car infrastructure is supported with four times the amount of investment that public transit receives. Photo by Paul Krueger / Flickr. A mixture of land uses enhances the local economy by densifying and diversifying the design of the community. Mixed-use neighborhoods favor short trips by foot or bike. Similarly, buildings should minimize how much energy and water they consume and require for building and maintenance. Photo by City Clock Magazine/Flickr. 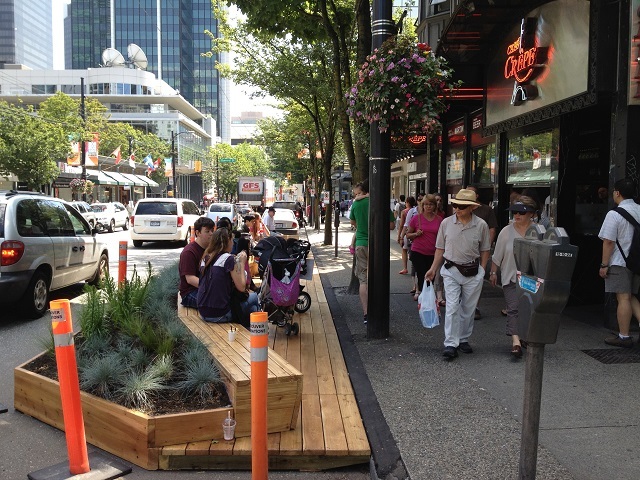 A built environment with adequate public space promotes social interaction between residents. Sustainable urban communities must be sufficiently dense and contain a variety of uses that are complementary to residential life. 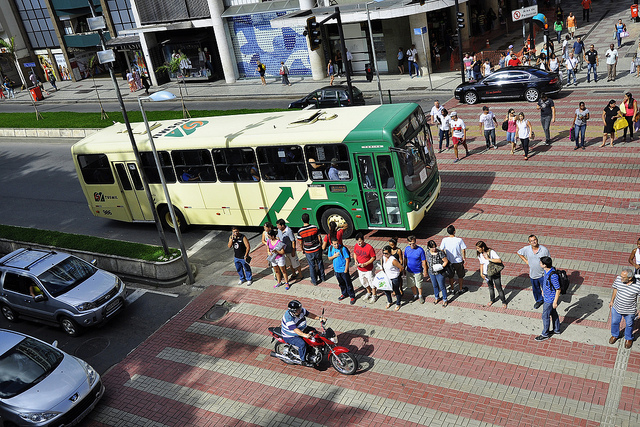 Public spaces should be connected to the urban transport network and serve as vibrant, human-centered places of activity. Photo by Marta Heinemann Bixby/Flickr. 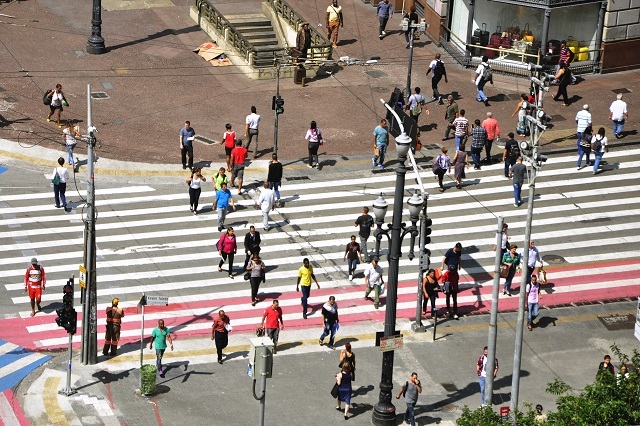 The purpose of public space is not only to enhance public life and social interaction, but also to provide a safe environment for pedestrians and cyclists. Public space is the place of encounter, exchange, and circulation within a community. All individuals have the right to access public spaces, regardless of personal, social, or economic condition. Community participation is essential to building a vibrant, inclusive neighborhood that is safe and equitable. Stimulating community participation creates a more equitable, harmonious relationship between varying social groups living in the same area. 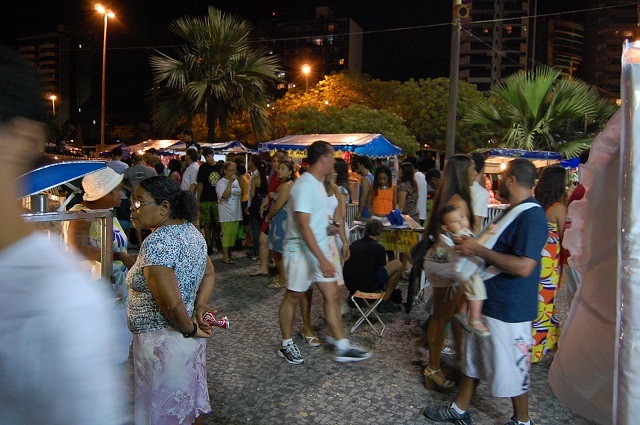 Respecting the unique identity of local communities results in a higher share of residents engaging in civic, cultural, and economic activities, generating a sense of belonging and ownership of the city. 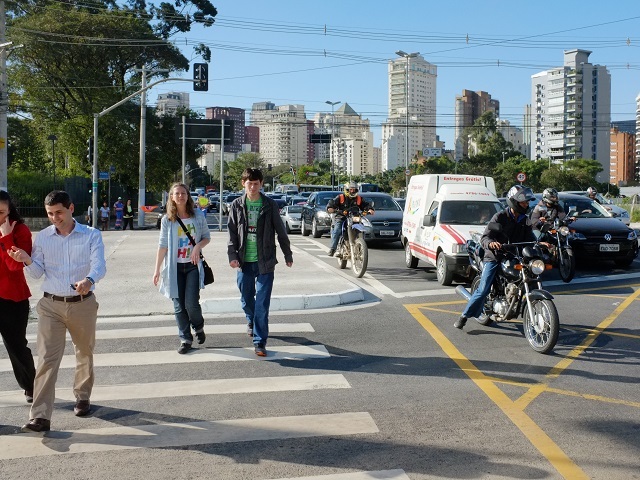 WRI Brazil | Brazil EMBARQ recently developed a report called “DOTS Cidades” (Portuguese for TOD)—a guide for policy makers and urban planners for creating cities based on these seven principles. The guide outlines concepts, design strategies, and best practices in public management, planning and urban design, and the transport sector, as well as information about accessibility and environmental requirements. To read and down the publication (in Portuguese), click here.